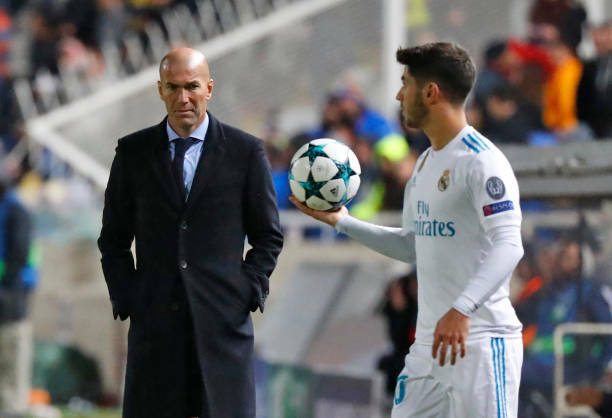 Real Madrid manager Zinedine Zidane confirmed that he is not willing to let the club sell Marco Asensio amid reports of a possible switch to Liverpool, among others. Asensio rose to prominence at Real during the Frenchman's celebrated first reign, but struggled to impose himself under first Julen Lopetegui and then Santiago Solari, leading to rumors of a potential exit this summer. Liverpool have long been credited with interest, with one report last year claiming Jurgen Klopp was "obsessed" with Asensio. The Spaniard is fresh from playing the full 90 minutes for his national side against Norway in their 2-1 Euro 2020 qualifying win, but in the 36 games he has played across competitions this season for Los Blancos, he has gone the full distance just 11 times. However, speaking to reporters, as quoted by the Mirror, Zidane rubbished reports of an exit for one of his future stars, explaining: "I have spoken to him and told him that he will be fundamental to the team. And I want him here with us."